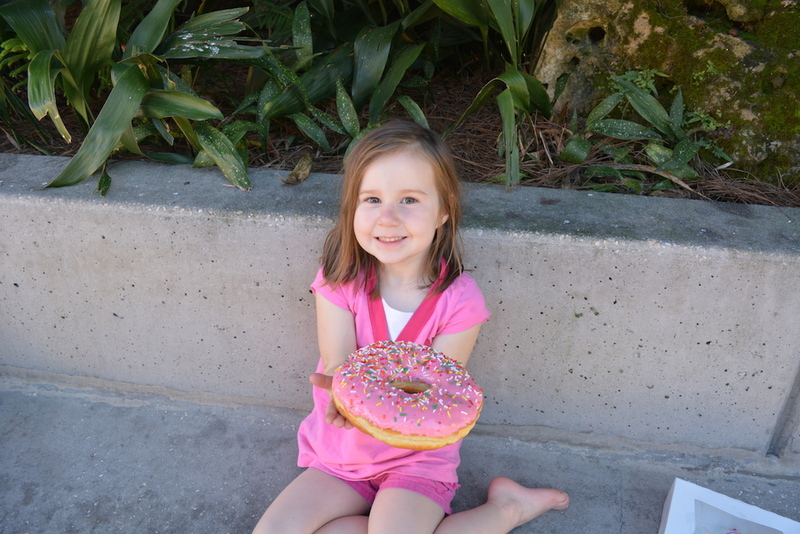 Our first stop has to be in Universal’s Springfield USA, home of the Krusty Burger, the Clogger, and Lard Lad Donuts. The giant Lard Lad figure and his gigantic donut (a fun reference to the Big Boy restaurant mascot) stand out even in a land of outrageousness. 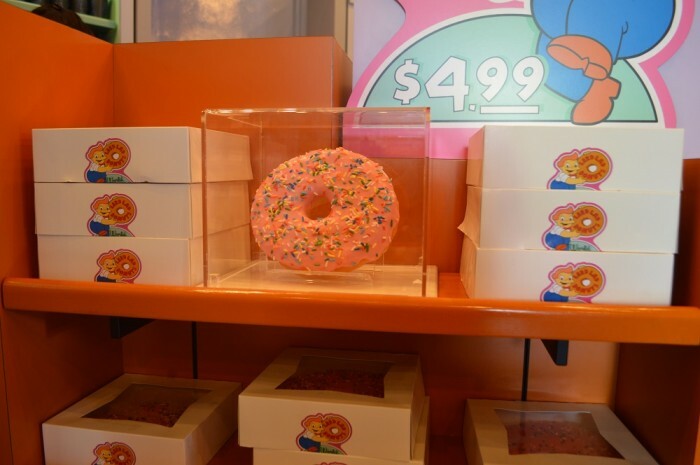 But what stands out even more is the Lard Lad Big Pink Donut. The size of a human head, the Big Pink Donut is incredible to see in person, and even better to eat! 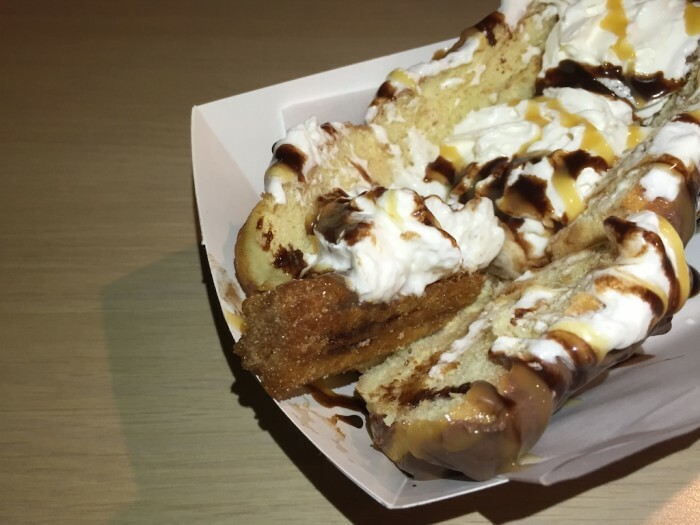 A couple of years ago, two of the greatest treats of Universal’s Halloween Horror Nights were fried Oreos and a fried peanut butter, jelly and banana sandwich (possibly Your Humble Author’s all time favorite theme park snack). 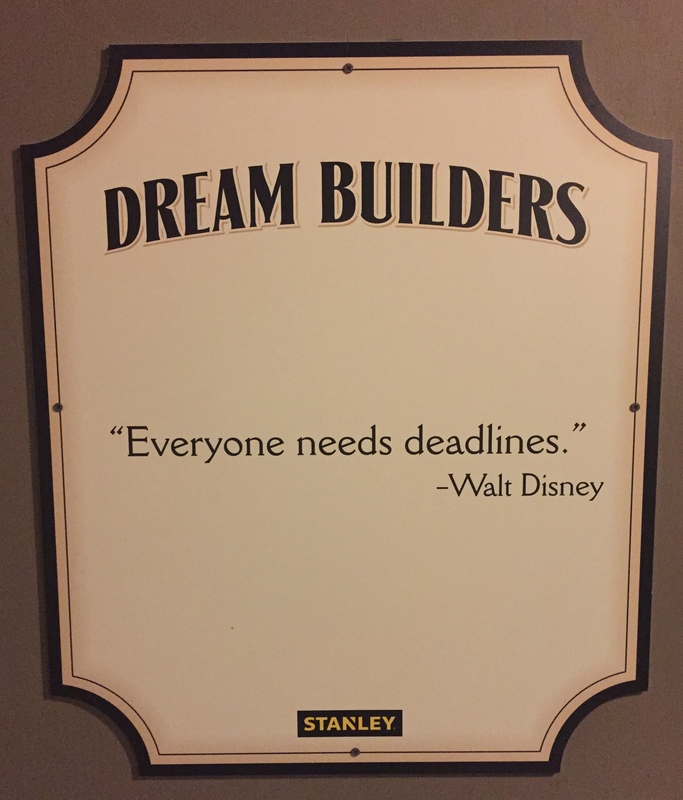 One day they just disappeared, so we know exactly how you fans of Horizons and Jaws feel. 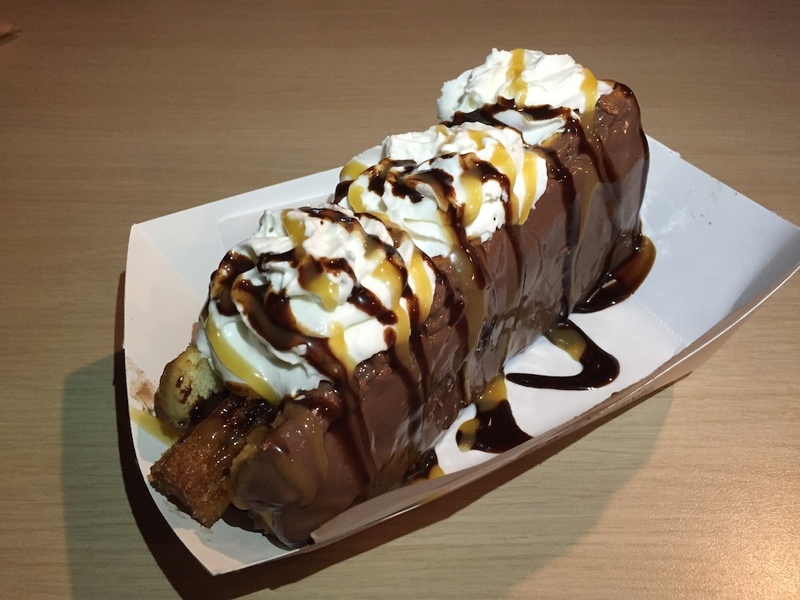 For HHN 25, Universal brought in two Extreme Eats. The first being Pizza Dog. 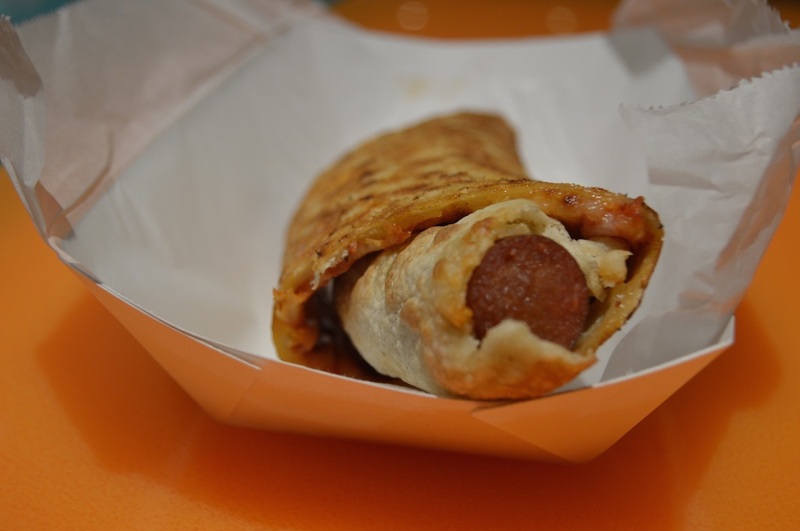 This past summer Pizza Hut introduced a pizza with a crust made up of mini-hotdogs. 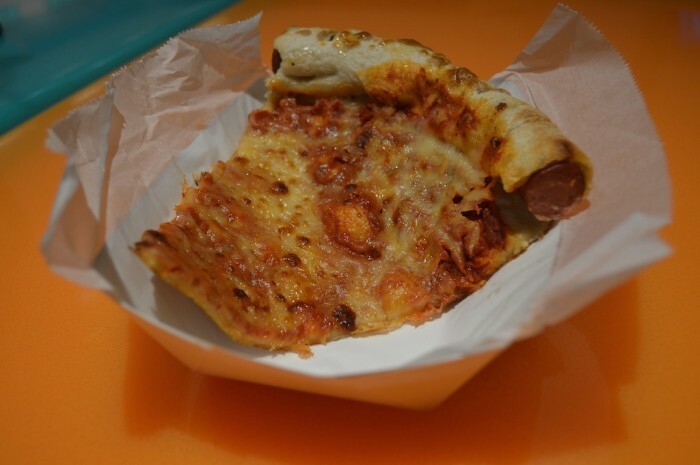 Served with French’s mustard, this was the first pizza that ever made the SATURDAY SIX staff long for the culinary masterpieces served by the BoardWalk Pizza Window. 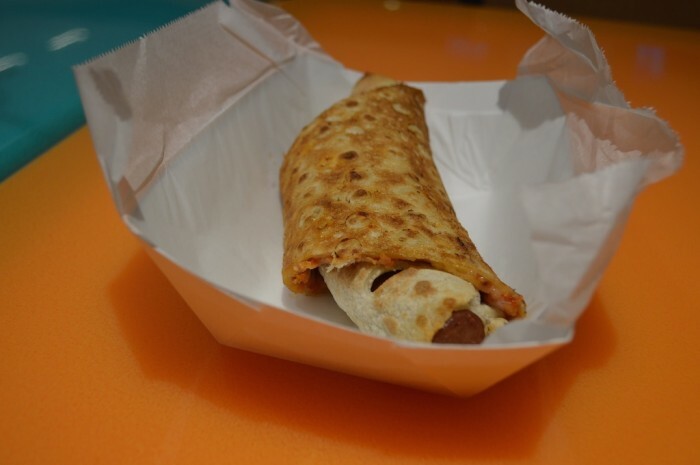 Like the movie Jurassic Park, Universal took the inevitable next step and used a whole hot dog inside the crust. This was better than Pizza Hut’s version, but better in the way that the original Transformers film is easier to follow than the Transformers sequels. This is damning it with the faintest of all praise. Final results: Hot dogs? Good. Pizza? Good. Hot dogs and pizza? Not good. On the opposite end of the taste spectrum is another new food that was found at HHN 25, the Churro Dog. 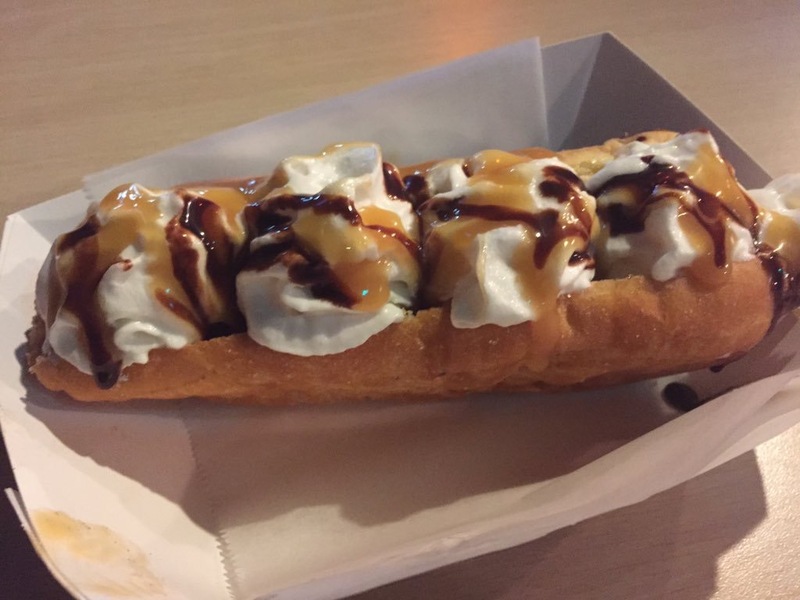 With an eclair as the bun, a churro as the dog, whipped cream, caramel and chocolate as the condiments, this was a treat that chef Gordon Ramsey could be proud of (well, maybe more like Guy Fieri). You may also want to check out Tim Tracker’s HHN video where he and his wife Jenn revel in the glory that is the Churro Dog (segment with Churro Dog starts at 14:47). 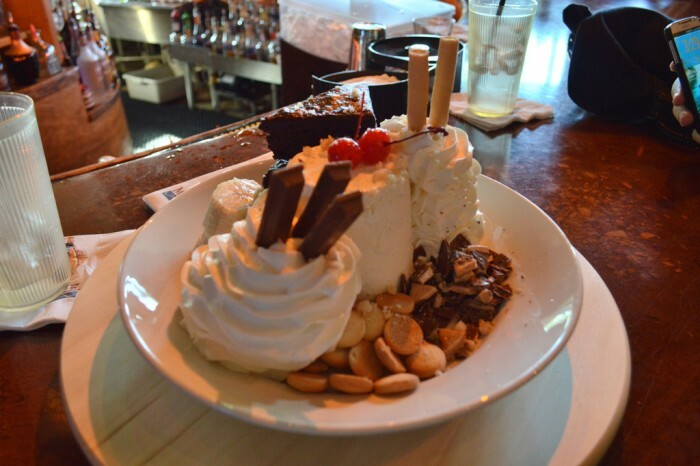 We’ve always said there aren’t enough desserts served on Lazy Susans, and thankfully our friends at Margaritaville have fixed that problem. Here’s the menu description: “Everything the name implies. Vanilla bean ice cream served with brownies, Kit Kat and Heath bars, pirouette and mini shortbread cookies, sliced banana, whipped cream and chopped macadamia nuts. 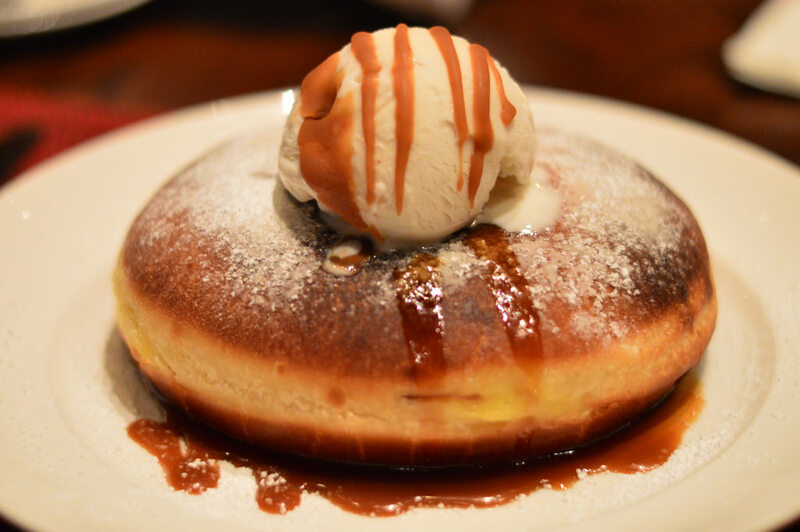 Swirled tableside with chocolate and caramel sauces.” The swirled tableside refers to the fact that you can spin the plate on the Lazy Susan and drizzle toppings to your heart’s content. 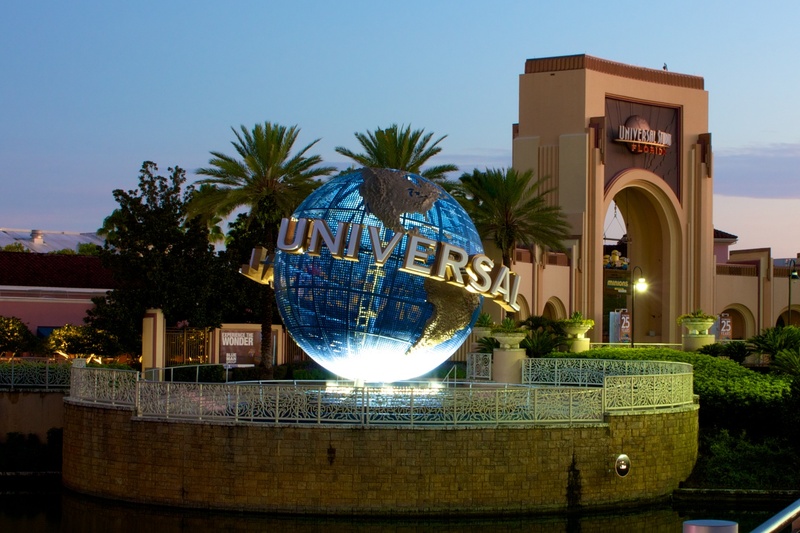 Theme parks are always trying to be more “interactive” and this is the best solution we’ve seen yet. And while they’re at it, why not stick Kit Kats on top of more desserts!! Between the King Donuts at the Hard Rock Hotel and the aforementioned Lard Lard Big Pink Donut, we’ve already established that Universal is the Theme Park leader in outrageous donuts, but as as the wise Yoda once said, “No…there is another.” This special donut is located at our favorite hotel, the Royal Pacific Resort. Inside the Islands Dining Room, home of the must-do Wok Experience. 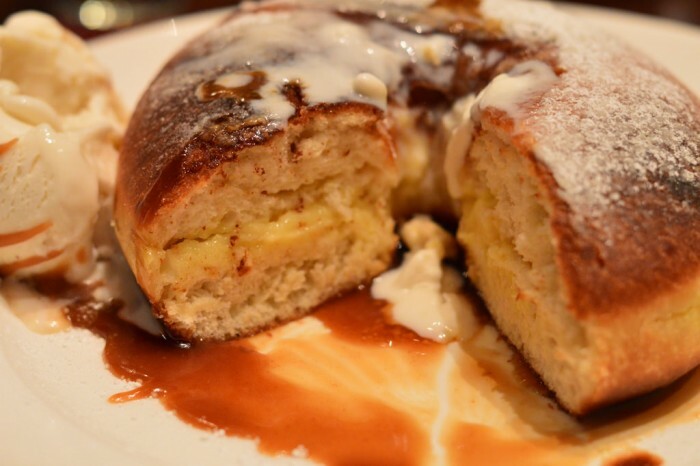 Pictures do not do the Jumbo Pineapple Donut justice, as this warm super sized donut has pineapple cream in the middle and is served with coconut ice cream. This is truly A TASTE EXPLOSION. 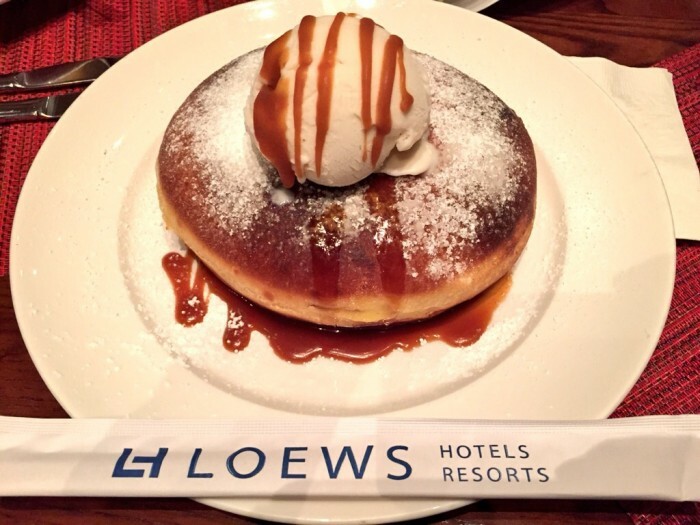 Run, don’t walk to try this one. 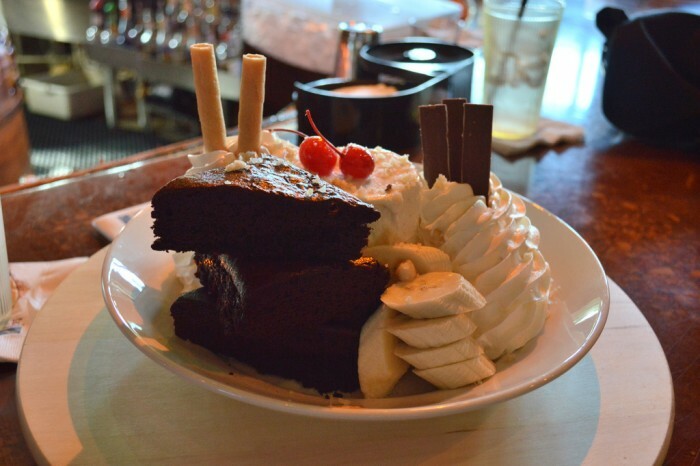 Finally a contender to the Universal cake throne, currently held by the Kitchen Sink Cake at the Hard Rock Hotel. 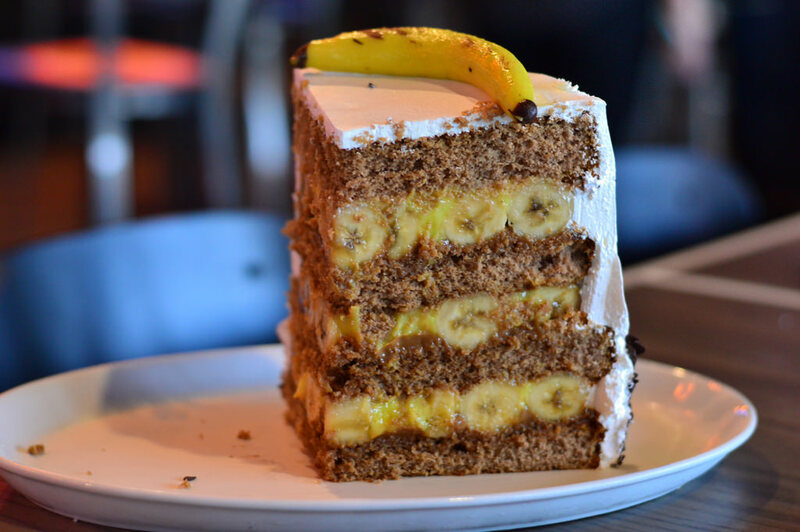 The recently opened NBC Sports Grill & Brew has the Big Banana Cake, a 7 layer behemoth of a dessert with alternating layers of banana cake and whole bananas with caramel and banana flavored cream. 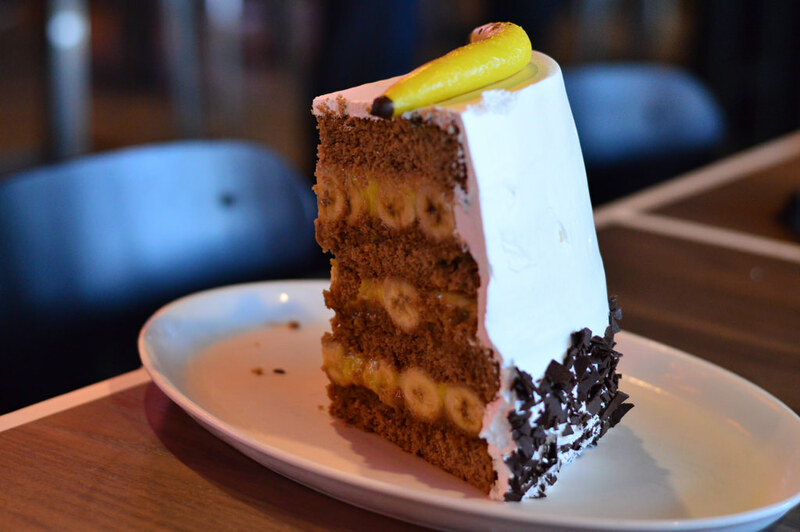 The cake is topped with whipped cream and shaved chocolate with a decorative “banana” smack dab on top. This is a slice of cake for King Kong himself! 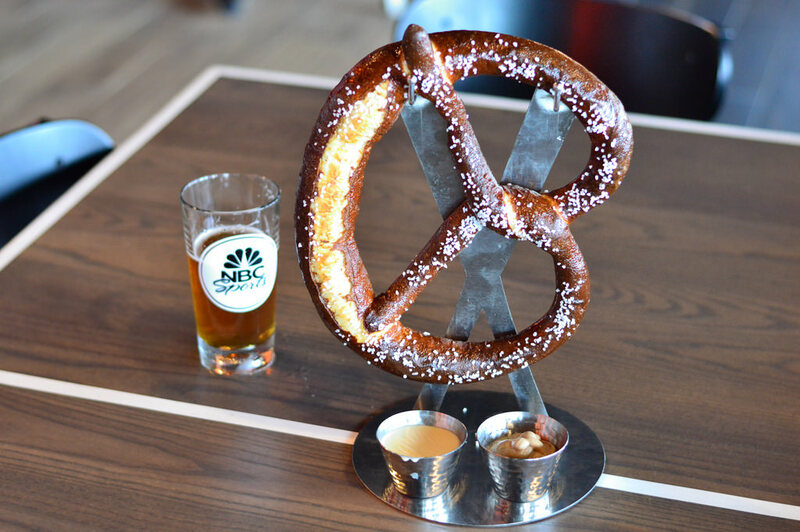 Served on a pair of hockey sticks to tie into the NBC Sports theme, the Large Warm Soft Pretzel appetizer is almost big enough to be an entrée. Served with jalepeno queso sauce and Bertman Ball Park mustard (straight from the Cleveland Indians), this is one pretzel to share. 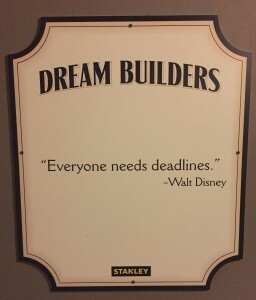 The Official Motto of the SATURDAY SIX. 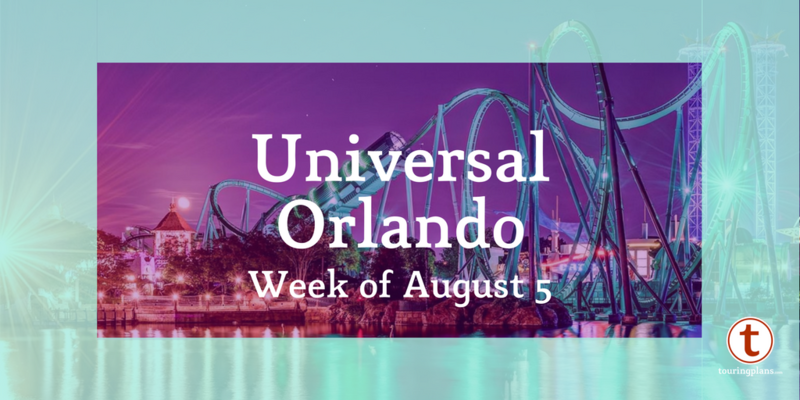 Special Thanks to crack staff photographer Brandon Glover, the Iron Stomach @AmusementBuzz, and blogger to the stars Megan Stump for their invaluable assistance with this article. Be sure to also check out Brandon on The Park Blogger podcast with co-hosts Aengus Mackenzie and Brian Carey. Could you post prices in your Saturday Six and other columns? It would be very helpful and informative.